December 15, 2014 Local Events, NewsR.C. 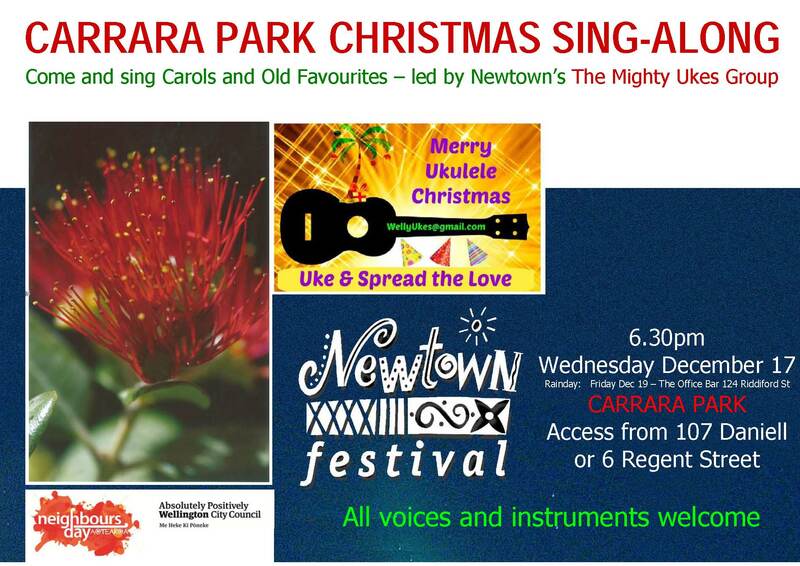 This is a low key, casual, grass roots event bringing people together with the sound of acoustic music and vocal singing and promoting participation in the Christmas spirit, goodwill and neighbourliness. The audience are part of the performance and singing is part of the fun! Carrara Park has entrances at 107 Daniell Street and at 6 Regent Street. This close to Christmas we don’t have a rain-day date, but if its raining and we have to cancel The Mighty Ukes will be performing a sing-along set at the Office Bar, 124 Riddiford Street, at 7pm on Friday 19 December.